Henry, my wonderful husband, surprised me with this dish of love when I got home from a really long day of work recently. This dish is so incredibly refreshing, light and satisfying that it erased all the clutter of my day, and I hope that it does the same for you. It is a make you feel good and happy dish, that pairs so well with just about anything. Please give this a try; you will not be disappointed. 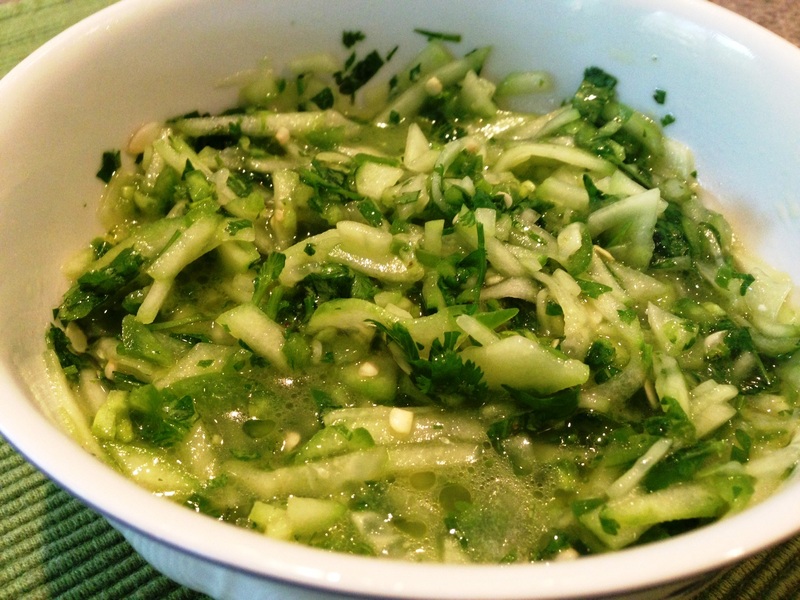 In a salad bowl, mix peeled cucumbers, finely diced ingredients, lime juice and all other ingredients. Cover and chill in your refrigerator for an hour for best results. Serve and enjoy. Thank you honey!